It's a miracle! After the Micra/Pulse, Sunny/Scala and Duster/Cleaner (oops! ), you'd expect the Renault-Nissan Alliance to badge-engineer the Evalia as well. Well, yes and no. Yes because the Evalia will transmogrify into the Ashok Leyland Stile sometime soon and no there won't be a, um... what can I call it... ah yes, the Renault Malfeasance or something like that. So what's Renault going to do now, especially if it has plans to occupy all segments in the Indian market? Why, there's always Dacia. 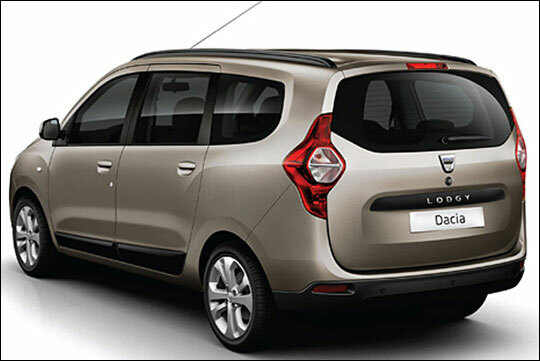 Introduced at the Geneva Motor Show earlier this year, the Lodgy is a proper Dacia. Proper because it satisfies an important condition for all Dacias - it has a weird name. The name of course comes from the archaic English term 'lodge' - it is archaic to the English and the rest of the world, but not to us Indians! All of us have stayed at a lodge one time or another, right? And our office expense sheet still says 'Boarding & Lodging'! Okay, seriously now. Based on a modified Duster platform, the Lodgy is a front-wheel driven multi-purpose vehicle that can seat seven. Flexible combination of the seats means you can liberate space the way you want. 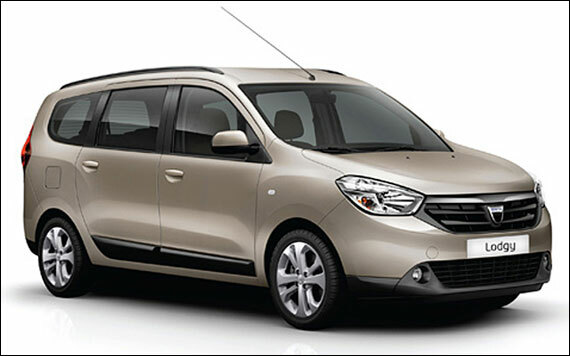 What's news is that Renault is looking to bring the Lodgy to India and the plans are to launch it at the Auto Expo in January 2014. Expected price will be sub-Duster, closer to the best-selling Maruti Suzuki Ertiga. On a visit to France during the recent Paris Motor Show, I got a chance to sample what this car is like. And it's pretty impressive actually. It is a big MPV, at 4,500 mm in length and 1,750 mm in width - which makes it slightly bigger than the Evalia and, of course, the Ertiga too. From a distance it looks slab-sided and plain, but get closer and you can see discreet design flourishes above both the wheel arches. The greenhouse is quite large and makes the interiors, even in the Euro-spec dull colours, spacious and airy. The front-end is aggressive comparatively and going by what the Renault design team have done to the Duster, expect it to wear plenty of chrome on the grille in the Indian version. What makes the Dacia slightly unusual and quirky - in other words, Frenchy - are the tail-lamps. They are housed in the pillars so as to save wiring costs if the lighting were to be placed on the hatch door. Therefore the designers have limited scope when it comes to the rear lighting fixtures and this is what they have done. Yes, it does look like there were two teams designing the front and the rear end of the car. Overall, the Lodgy is not unpleasant to look at and has a very functional feel to it. Well, when was the last time an MPV won a beauty contest anyway? The dashboard, as mentioned earlier, was clothed in the dull grey that mimicked European winter skies. There's nothing like beige to cheer us Indians up. Still, the look is completely uncluttered and the ergonomics are spot-on. The placement of the controls is not quirky and the dials are clear to read. You'd find a couple of common stalks and switches, but that's how manufacturers control costs. Of course there are enough cubbyholes and storage spaces for you to lose stuff in. The selling point of the Lodgy, of course, is what you can do with the second and third row of seats. The immense flexibility on offer means you can transport a variety of stuff in comfort, maybe even your grandpa's old piano. Leg-room at the third row is good enough for two medium-sized adults. 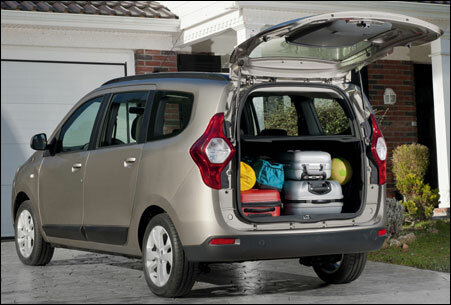 With all the seats up, there is still some room left for luggage, more than what the Ertiga manages for instance. 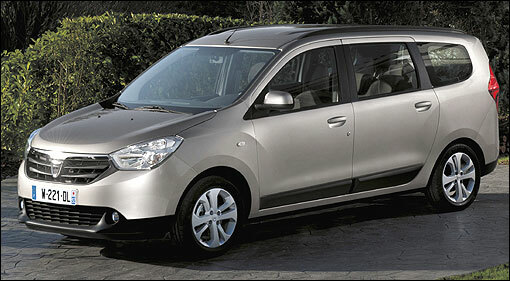 So as far as a true MPV goes, the Lodgy ticks all the boxes. The car that I had was powered by (fill in the blanks but no prizes for guessing). The suspense is indeed killing, so I'd better come out with it. Yes, it was the world-famous, all-pervasive, omnipresent, omnipotent K9K motor. The 1,461cc inline-four turbodiesel powered the front wheels via a six-speed manual. With 108.4 bhp at 4,000 rpm and 25.2 kg at 2,250 rpm, the Lodgy has adequate pulling power - at least in the European state of tune. By the time it comes here, the engine will be tuned to stretch the litre of diesel and that, combined with some turbo lag, usually makes these cars feel wheezy, especially when loaded. Hopefully, going by the Duster experience, Renault will take care of that. Driving the Lodgy around briefly in the outskirts of Paris, it comes through as a competent and well-engineered car. The engine actually felt responsive even lower down the range and pulls well. The meat of the motor is somewhere between 2,000 and 3,000 rpm and in this zone, it offers good flexibility across the gear ratios. The shifts however were slightly clumsy and not very precise. Quite a few times it shifted to the wrong gear; it has happened to me with the Duster as well. So either it's me or the Renault gearbox - you decide. The steering feel is pretty good for what is essentially a large van and the turning circle should ensure three-point turns are infrequent. Of course, the ride quality was excellent even with only two persons on board. But this was French road surfaces, so that's not an ideal situation. Given Renault/Dacia's track record in this department, ride quality is not an issue but pronouncing the names of the cars is. And frankly, I didn't get a chance to go corner carving to give you a line like "for a van, it licks corners clean like a six-year old would an ice-cream cone." What I generally liked about the Lodgy is that it is a pleasant, honest-to-goodness car. It drives well and is immensely practical too. It keeps people comfortable, accommodates a decent amount of luggage and doesn't feel cramped. The quality of materials that have gone into it are also impressive, but again, this was the European-spec variety. I hope Renault will not go the Duster way with the plastics, because in this car, there are a lot of plastic surfaces. And it is inoffensive to look at. So all good then? No. I have a major grouse. How can I stay in a small apartment but drive a Lodgy? Which car is better: Renault Scala or Nissan Sunny? Is Mahindra Quanto a good car?